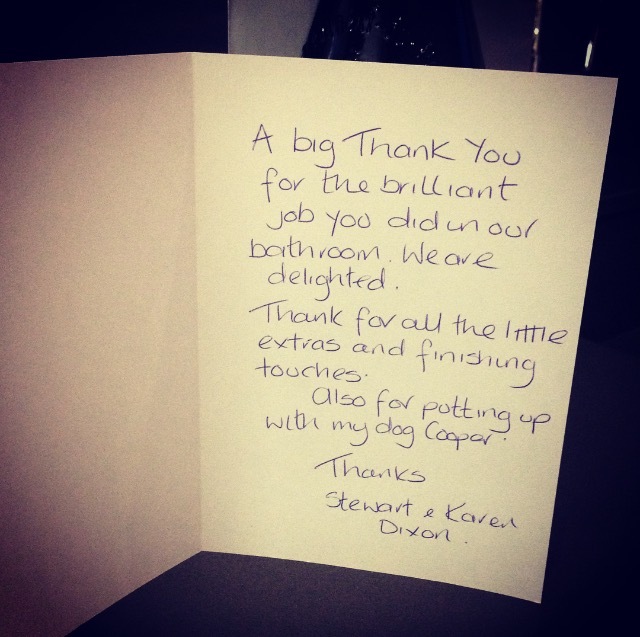 A few weeks ago we renovated Karen & Stewart’s bathroom for them. 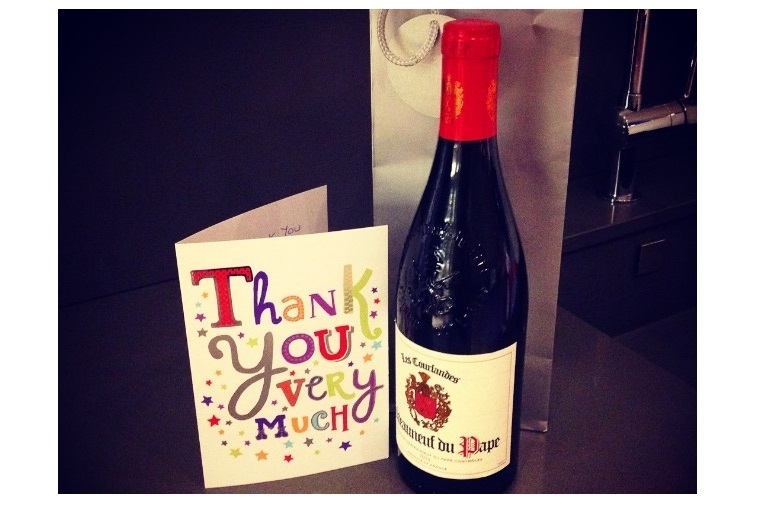 They were so delighted with the finished results that they gave us wine & beers and took time to write us a thank you card as well as posting a review on our Facebook page. We are very grateful that our customers take the time to write feedback as it is a very important aspect of business these days! Unfortunately there are so many companies that do not provide a great service so it is only right that people look for at reviews before making decisions. See what feedback Karen & Steward left on our Facebook page by clicking here and see what they said in the inside of their card below.